Mom’s Connection is a place where moms with kids from infancy to elementary age can come and learn, share and connect with other moms. We’ve all been ’new’ before and we have a heart to make sure no mom feels alone. We are grateful for the giving which supports this ministry and for the RBCers who give generously of their time to serve our young mothers. Get more information on Mom’s Connection at RBC, please visit www.restonbible.org/moms. Men of RBC: On March 3-5, the Women’s Ministry is holding their annual retreat. I have called the Sunday of that weekend, “Bad Hair Sunday” because it is the one Sunday out of the year that children show up with varying degrees of bedhead — worthy of pictures. For every man who spends the weekend with his children while his wife is away on a Women’s Retreat there are several valuable lessons in store. First, he realizes just how under-insured his wife is and that any thought he has ever had that even smelled like “I could do her job” was delusional at best. He also learns that you can dress your kids for church on Saturday night and put them to bed in those clothes. Lastly, he learns that Jehovah Jireh in the NIV means “Papa John’s delivers.” Men, you do not want to miss out on this. More importantly, the weekend is a great opportunity to invest in your wife. I speak at a lot of MOPS (Mothers of Preschoolers) groups in the area. When I go to these groups there is a room full of moms eager to hear my every word. (Not really.) I know that if a mom knows that her kids are being watched and someone is giving them food that they did not have to prepare, they would come and listen to me read the dictionary. No, I’m not the speaker for the retreat – they actually found someone with spiritual depth and great communication skills. But I am asking you guys to consider blessing your wives by strongly encouraging them to attend the retreat. All kidding aside, your wife will have the chance to spend time with other women of RBC, hear great teaching from the Bible and possibly get some much-needed rest. Imagine how much they will laugh when they see the pictures you take of the kids on that Sunday morning. For more information on the 2017 Women’s Retreat, visit www.restonbible.org/womensretreat. Tuesday mornings, from 6:30 a.m. to 7:30 a.m. a Women’s Prayer Group will meet in the Jr. High room in the Youth Building. All women of the RBC community are invited to join together to seek God in prayer for our church, nation, neighborhoods and families. Even if you can only come for a part of the time we encourage you to join us! A few years ago, I heard Lauren Smith speak at a Mom’s Connection about her family’s journey in raising a son with special needs. A picture that she painted stuck in my head as she referred to the surprise that comes in learning your child has some delays. It went something like this: During pregnancy it’s like you are going to live in Italy, so you learn the language and everyone around you is talking about living in Italy as well. One day you find out that you’re not going to live in Italy, but Switzerland. It’s not bad, it’s just different from what you were expecting and your life will look very different from everyone else. This image hit me like a ton of bricks! I could certainly relate to everything that she was saying about living in Switzerland! I approached her afterwards and was over the moon to learn that she wanted to be a support to other mothers that have kids with special needs. I had only been around moms whose kids were typical and honestly would go home feeling down and overwhelmed as they talked and I was living such a different experience. I knew I had a lot to learn differently about being a mom. Liz Rainey lives in Sterling with her husband, Evan and son, Jayden (4). She loves to enjoy the beach, learn about nutrition, and spend time with her loved ones! Soon after, Lauren founded Courageous Mamas for those with special needs children. It was a chance for women to meet together and share their experiences and receive support one evening a month. In attending the meetings, it felt like someone had thrown a lifeline. At the time, I was feeling pretty overwhelmed that my son, Jayden, would have to attend preschool away from me to receive therapy. He was only 2 years old at the time and I was beside myself! It was such a support to hear from other mothers who had been through preschool and beyond college with their special needs children. I have had so many questions answered and have learned so much. I have cried and just sat back in total amazement at what God does in these families! Thank you to everyone that has shared, been a support, and offered their life lessons. The experience has opened my eyes to a whole new world of people that God has created, and I am joined in Switzerland by others in the church family. All this to say, that Courageous Mamas has been a huge blessing! 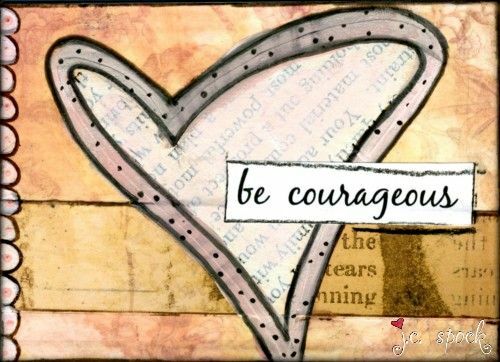 TO LEARN MORE ABOUT COURAGEOUS MAMAS, VISIT RESTONBIBLE.ORG/COURAGEOUSMAMAS. TO LEARN MORE ABOUT MOMS CONNECTION, CHECK OUT RESTONBIBLE.ORG/MOMSCONNECTION. TO LEARN ABOUT COURAGE QUEST, THE SPECIAL NEEDS INITIATIVE IN RBC’S CHILDEN’S MINISTRY, CLICK HERE. So the holiday season is finally over. 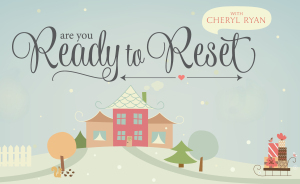 All the shopping, gift-giving, cooking, decorating, visiting, and traveling is now past but I wonder how many of us recognized the opportunities for a divine reset as we navigated the ups and downs of the holiday season. Were there any really hard and challenging moments that left you wondering what in the world was going on? Maybe it was a stinging remark by a family member or friend, or possibly you experienced unanticipated sickness or loss? Maybe it was a dashed expectation or just a general feeling that something was not quite right? At times, amidst all of the “expected” joy and celebration, we all can find ourselves experiencing some of the exact opposite. Well, the good news is… it’s not too late to process those circumstances through the lens of the Gospel and look for what the Lord intends! In this update, we want to offer you a few follow up resources to remind you again that God is sovereign, He loves you and His love is not based on anything you’ve done, are doing, or ever will do. He always gives us more than we ask for (even if we can’t see it in the moment), and He has His hand on every aspect of our lives. He means all things for His glory and our good. We hope you will take some time to review these resources and remember how God ordains resets in our lives. There you will find the link to the teaching as well as an email to send in any questions. We will get those answers back to you as soon as possible. And don’t forget to “like” us while you are there to be sure to receive regular updates and encouragements. What do you get when you mix fellowship, food, fun, and a teaching with 150 women? Why, a girls’ night out, of course! And that is exactly what happened this past Monday evening at the Ready to Reset women’s event at RBC. Even the bitter cold weather could not keep the women away from this special evening. The night began with fellowship, ice breakers, and a great selection of hors d’oeuvres, desserts, and delicious flavored coffees and teas. ​Our ​speaker, Cheryl Ryan, shared from her own life, and the lives of Leah in the Old Testament, and Paul in the New Testament. She explained how God uses ​H​is ordained resets in all of our lives to bring us to ​Him. Those resets can be slow or fast, gentle or painful, surprising or even shocking​, but one truth is constant -​ ​in the resets God always remind​s​ us of ​His great love and grace in our broken lives. Yes, we still live in a broken world​,​ yes, we ourselves are broken, and yes, our hearts are constantly wandering away, but God is redeeming and rescuing us right in the midst of the difficulty, pain, brokenness and confusion. With ​Leah​ we saw how she​ was “working” for her husband’s love by giving him son after son after son. ​For Paul​, it was how he​ was “working” by proudly boasting of his own righteousness​. And ​for ​Cheryl​ she​​ shared with us her own personal story of believing that to be good Christian ​meant she had to “work” at being strong​ in the Lord​. In all these cases ​God ​broke through their circumstances and ​showed that the “work” had already been done​ and that the good news is – it Is finished! The love and approval each desperately needed was only to be found in God, and they discovered they didn’t have to work for it. They actually found His wonderful love and grace was already theirs not by working for it, but by seeing and admitting their own weakness through​ His appointed​ reset​​. If you enjoyed the event and would like some follow up, we encourage you to please visit the Women’s Ministry of Reston Bible Church Facebook page. There we will be offering some follow up resources, including the references to ​t​he quotes you all have been asking ​for from the event​. 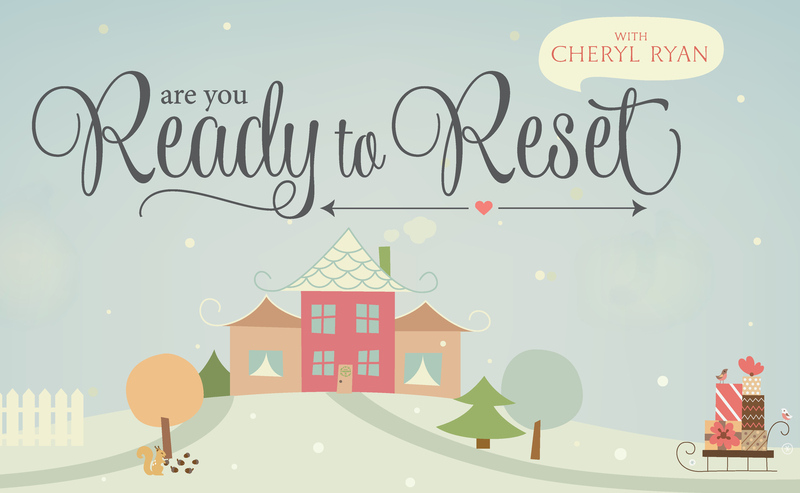 ​If you weren’t able to make it to Ready to Reset, in the next few days we will be posting the audio to Cheryl’s message there on the page as well. Then watch for more information on how you can ask follow up questions regarding the teaching. ​You will also find more frequent quotes and resources to encourage you as you follow the page. So let’s get the conversation started by “liking” the Women’s Ministry of Reston Bible Church Facebook page and we’ll meet you there! RBC Ladies, I wanted to let you know about a couple new offerings in Women’s Ministry. Both will meet at the church beginning soon. FORGIVEN & SET FREE: This confidential 8 week study is for women who suffer pain, guilt or shame of a past abortion(s). This study, which effectively administers God’s healing grace, is offered in a safe environment with the goal of helping you find lasting healing, forgiveness, and freedom that can only be found in Christ. If you struggle with secrecy, guilt, condemnation or forgiveness, this study is for you. It will meet on Thursdays from 7:00-9:00 pm beginning April 24. For more information or to register contact Amy Raye, 571-283-7248, wildly_a@yahoo.com or Kathy Kennedy 571-327-0617, Kathy.kennedy17@gmail.com. LIVING HOPE: This will be a women’s group for those who struggle with depression. Psalm 42:11 asks the questions, “Why are you so downcast, O my soul? Why so disturbed within me?” Beginning May 15, we will host an 8-week (5/15 – 7/10) group on Thursdays, 9:30 – 11:30 AM for women who struggle with depression. We will share from Scripture and from our own personal lives for the purpose of building each other up as we walk through difficult emotions and circumstances. ​Our goal is that through sharing openly and honestly with one another, reminding each other of the truths found in Scripture and speaking the truth in love, we will be able to say to our souls, like the Psalmist, “Put your hope in God, for I will yet praise him, my Savior and my God.” Due to the intimate and confidential nature of the group, size will be limited (6 – 10 women). Childcare will not be provided. If interested, please contact Julia Blanchard (juliablanchard@restonbible.org, 703-404-5045). Have a wonderful week and enjoy this gorgeous spring weather…finally! For the third year in a row, the ladies of Reston Bible Church converged on the Sterling Doubletree Hotel for a weekend away from the pressures and stresses of everyday life. We gathered together – freed from the distractions of families, careers and simple things like making our own beds and meals – ready to hear from the Lord through Shawn Lantz, who taught on the subject of Living with Unmet Desires. 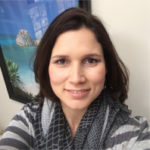 Shawn is the daughter of missionaries who moved to the Democratic Republic of Congo when she was ten, and now resides in Nashville with her husband and three children. Throughout the course of our three days together, Shawn led us through the four core issues of jealousy, taught us to expose the true idols of our hearts, and learn how to forgive ourselves and those who we feel have sinned against us. Shawn’s message was a balm to many hurting hearts, and her delivery was clear and concise. She shared many moving anecdotes about her time in the Congo and was transparent about her own personal experiences and struggles with the topic at hand, which was refreshing and encouraging. After each teaching session, we talked through what we’d learned in small groups. Sharing in our small groups was a great way for women to share with and encourage each other, and form new connections. On Saturday afternoon, a chunk of free time afforded us the opportunity to participate in a service project for the RBC Food Pantry or attend a special interest meeting. We were also given the opportunity to buy handcrafted bags to support Napada, a ministry in Bangkok that employs women from low-income communities. The proceeds (and there were many!) went directly back into the ministry (and the bags were gorgeous). Some women took the chance to head out to the outlets for some shopping or worked out together at the gym. And I think a great many of us took naps. Once again, the RBC women’s retreat proved to be an extraordinary time of teaching, connecting with other women, and hearing powerful messages from the Lord. Please pray that the Lord would continue to bear fruit from our time together at the retreat. In this video, shown during the retreat, Jan Stevens shares about the loss of her son, David, and God’s redeeming hand throughout his life. Her story is a powerful testimony of our Lord’s grace & provision in the midst of the most difficult of unmet desires. Welcome to the first installment of The Connection, a monthly newsletter for RBC moms! We’ve selected a couple articles for you to read below, and you can download the entire edition of The Connection – October 2013 here. I think I post at least once a year on Facebook that I wish there was a way to “magic” laundry away. I can’t be the only person who struggles with this, because a bunch of my friends like and comment on it. I don’t know why it surprises me that laundry will need to be done, but I know if I ignore it for a few days, mayhem breaks out. This leads to a Grumpy Maggie. God has been speaking to me about how I treat my role at home. Through conversations, blogs, friends, Pinterest, Facebook, and mentors a message pops up over and over: This is my job, and I should do it with a joyful heart. It is my choice to go to God and ask the Holy Spirit to fill me with joy there. It is my choice to reframe my thoughts about the tasks I have to do on a daily basis. I am BLESSED to do this on a daily basis. I also needed to let the kids do a bit more. Attitude is everything. If I take the lead on a chore with a cheerful disposition, and make things a game, the kids follow suit. Because a joyful heart is like medicine. How can the kids be grumpy when Mom is making Lego-cleaning a race? Throwing dirty socks at your head while sorting laundry? Playing praise music while cleaning the kitchen? I began to use the techniques I used with the kids on myself, and soon enough, I was approaching my day with a happy heart. I also began to let go of some of the tasks I had taken control of because I did them the best. My 15-year old daughter does most of her laundry now, and I don’t care how it is folded, or shoved in her drawers. I let my son vacuum, and don’t nitpick about how he missed a spot. Delegation will always be a work in progress for me, but the happiness I feel when my kids can do something for themselves is motivation, indeed. It’s okay to have bad days, but God is teaching me to find joy in the ordinary and everyday, because that is what my life is made of. I wash laundry, and clean toilets, and I am thrilled when that recipe idea I finally tried from Pinterest worked out. When Julia and Joseph look back at their childhood, I want them to remember me as a woman who loved the position the Lord gave her. Maggie Kolb is wife to Kim, mom to Julia (15) and Joseph (10), is a green smoothie fanatic and collector of peacocks, owls, and nail polish. “God, how am I supposed to do this? Give me the strength and wisdom to raise these boys to honor you.” It is a prayer I pray often. I whisper that prayer as I stand in my sleeping babies’ rooms while the scent of lavender baths lingers on chubby bodies and washes the day’s frustrations away. I also pray this prayer when I am broken and battered, waving the white flag of surrender. When sticker charts, Bible verses read aloud from index cards, positive affirmation, reverse psychology and timeouts have not yielded desired results. When every trick in my mommy bag has been used, I pray this prayer. It is a prayer I pray continuously because the magnitude of what God has called me to do is so overwhelming at times I question and doubt the task He has laid before me. I have been called to raise these young boys to be men of God. I am living among the pages of the ultimate underdog story. I am on a quest to raise children that will go against the grain of everything our culture values, and walk with Christ. Does God really trust me with this task when I can’t even keep my toddler from pushing other children at the park? I often feel like Gideon, scared and doubtful, marching off to defeat the Midianites with a whittled army of 300. But on this particular day, I felt God speaking through my tired body. I was to teach my son through patience and love. This simple concept, taught in the early years of Sunday school, ignited a flame inside me. God wasn’t just calling me to help teach my son patience when taking turns or when waiting for his soup to cool off. He is disciplining me to learn to discipline with patience, through love, one timeout at a time. In the difficult times of disciplining little ones, I was to be patient and loving, as God is with me. We rarely talk about the patient God. Yet, time and time again, God shows us through His word His patience for us. When Gideon, marked by his weakness, questioned God about how to execute the Lord’s plan to save Israel, God responded to him by saying “I will be with you” (Judges 6:16). When Gideon questioned if God was truly speaking to him, God responded by saying, “I will wait until you return” (Judges 6:19). My toddler doesn’t understand why he shouldn’t push others. He doesn’t understand why dragging his baby brother across the floor isn’t a loving action. He doesn’t understand a lot, yet; much like his mother. What I do understand is that the bible instructs me to teach my child, to discipline my child and to be patient and loving while doing so. We are both learning. When God blessed me with surprise twins born 20 months apart from their older brother, like Gideon, I felt weak, outnumbered and defeated. Yes, there are numerous blessings on this journey but the days are long, the tasks physically exhausting and the challenges mentally draining. In fact, God told Gideon that his army must be small and the task must seem near impossible or Israel would boast of their own strength saving them. (Judges 7:2). No matter how many children you may have, chances are you have felt like Gideon at times, weak and defeated. God’s love and patience for us is infinite, no matter how impossible the situation may appear. He is willing to love us, no matter how many timeouts it takes. Kristyn Cole is a Northern Virginia native who lives in Chantilly with her husband and Patriots fan, Ryan. Together they are blessed with 3 boys: Tyson, 2 and six-month-old identical twins, Gavin and Jackson. Click here to download the entire edition of The Connection – October 2013. 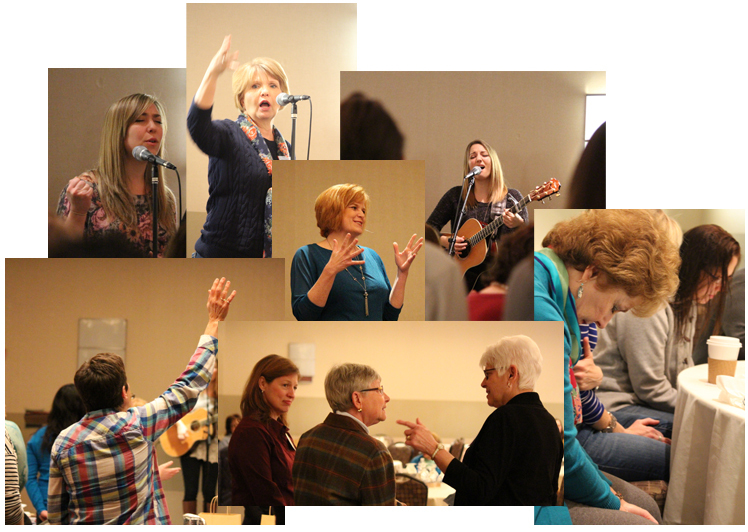 Join us Friday, April 19, through Sunday, April 21, for the 2013 Reston Bible Church Women’s Retreat. The Women’s Retreat is for all women, college age and above, who desire to step aside from their daily routine and focus their hearts and minds on our Lord Jesus Christ for an entire weekend. The retreat will include wonderful Biblical teaching, Christ centered worship, and small group discussion. Saturday afternoon is whatever you want it to be. You can attend a workshop, participate in a service project, spend time with friends, join other women in a planned activity, read a book, or just take a nap. The retreat is a unique opportunity to gather with other women of RBC. It’s a time to deepen existing Christ-centered friendships and develop new ones; a time to connect with women in your stage of life; a time to meet women across the generations. It is a great opportunity to find community. We hope to see you there! I’m writing to personally invite you to the Reston Bible Church annual Women’s Retreat at the Doubletree Hotel in Sterling. The retreat begins Friday, March 9, 2012 at 7 p.m. and ends at 11:00 am on Sunday, March 11, 2012. We’ll enjoy worshiping together, Biblical teaching, small groups plus time to just hang out and have fun. I highly recommend that you stay at the hotel for the entire weekend so that you can enjoy the full retreat experience—being able to put away distractions, unplug and refocus. The rooms are beautifully decorated and equipped with either two queen beds or one king bed…and I’ve heard they’re really comfortable. But if you would prefer to sleep at home we do offer a “day only” option (you’ll be assigned a small group just like those staying at the hotel). Both options include three delicious meals on Saturday and Sunday breakfast and all the hotel amenities. The retreat is for all ladies college age and above. If it’s your first retreat and you’re worried about not having a roommate, don’t let that keep you away. There are always other ladies looking for someone to room with. I’ve met some really great ladies that way. I’ve been to many retreats over the 20+ years I’ve attended RBC and have come away not only having met new women but also encouraged in my walk with God. I’ve enjoyed true Christian fellowship around God’s word and just plain old fun. Trust me…this is something you won’t want to miss. The theme for this weekend is Ruler of My Heart and we’re excited to have Margaret Ashmore from Denton Bible Church in Denton, Texas as our speaker. Margaret’s heart is to help women come to the understanding that the safest place to be on this earth is in the loving, shielding protection of submitting their lives to Jesus Christ. I trust that you’ll be blessed and challenged by what she’ll be sharing with us. Prayer Team-will pray before and during the retreat. If you have a heart to cover all aspects of the retreat from planning through the final session, then we welcome you to join with other women with the same desire. There will be morning prayer sessions both Saturday and Sunday during the retreat. Registration Table: will check in women as they arrive at retreat. If you are organized and good with details, this is the job for you. Greeters: will welcome ladies to the retreat and into each session. This is a wonderful way to show hospitality, whether you’re an extrovert or just someone with a heart to make others feel welcome. Table Hostesses: will welcome ladies to their table at mealtimes and make sure everyone is included. If you have a desire to show Christ’s love and encourage other women here’s your opportunity. To get more information and register go to www.restonbible.org/womensretreat. No matter your season in life I trust the weekend will prove to be worth your while. If you have any questions, please don’t hesitate to call or email me. You know the old saying “The best laid plans…”? Well, God has His own plan and it always, without fail, turns out to be the right one. After many months of planning for the Ladies Annual Retreat we, Barb, Bridget and I, arrived at Sandy Cove the weekend of March 5-7 full of anticipation and excitement. We had decided to try some new things and were eager to see if they would work and how they would be received. And I think we were even a little worried that we had somehow forgotten something. As the ladies began to arrive, there were the sounds of welcoming those we’d just seen at church the previous Sunday as well as the squeals of delight at being reunited with those who we hadn’t seen since the last retreat. For those women of Reston Bible Church who have sat under sound biblical teaching for, well, forever, most of us entered the weekend titled “Love, Loss and Legacy” (centering around the story of Ruth) with our own knowledge and opinions. After all, it is of one of the great love stories in the Bible. What we didn’t anticipate is how the story would change us all individually and so differently. I’m not sure any one of us could have been prepared for all that God would bring to light through Kelly’s study and teaching. Each lady who attended came away with a view of that amazing story through a new lens. Some of us may have learned a hard lesson about forgiveness, others about loyalty, still others about how to just be still and simply hear from God and let Him guide our paths. I truly believe that every lady came away with a changed point of view about those three women in Ruth who began a journey and the paths they each chose. As we watched the weekend unfold, we saw God use the plans we’d made in ways we couldn’t even have imagined as well as bring some surprises of His own. At first we may have resisted some of those, but as we watched God work, I believe one thing we all walked away with from that weekend was a greater sense of awe for the God we serve… and we could all use a lot more awe. Bridget Goetz shares her story of God’s faithfulness as He drew her out of self-reliance to deep dependence on Christ. This video was originally shown at the 2010 Reston Bible Church Women’s Retreat.